Bangla word is a free software offering 39 Bengali beautiful font for free. People can easily type Bengali documents. In this software the conjunct characters (juktho okkors) are placed automatically by default when it possible. Otherwise user will do manually. No any registrations needed to use this free application. You can just download the software using this link. Bengali also known as Bangla. Is an indo Aryan language spoken by Indian and Bangladeshis? Over 250 million people speaking Bengali. 100 million Bengali speakers in Bangladesh and 85 million in India. 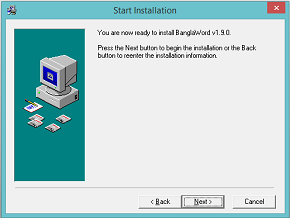 Banglaword was invented by Bangla software group. Located in London. The size of the app is 6.44 Mb. Available for windows 7, 8, 8.1, 10. 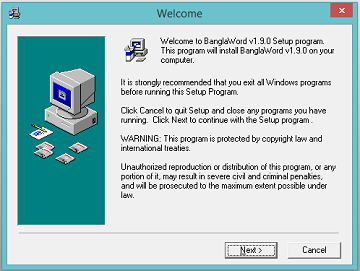 Someone using this application in windows 10 32bit operating system, and works fine. 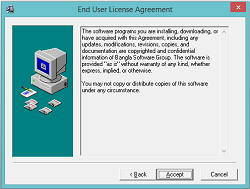 Extract the WinRAR archive file. Now you can type any word easily using this awesome Bangla application. If you like this application share with your friends. So they also can use it.